I’ve been wondering lately about the long-term viability of social media stalwarts like Facebook, Twitter and maybe even LinkedIn. Based on my research with Tom Novak, I think a strong case can be made that most people use these sites and apps to connect with others and to create and consume digital content. In the context of these experiences, ads are an interruption to the flow that characterizes the best of these experiences. Let’s look at Facebook. In the early days, group pages, banner ads and sponsored links – being typical and familiar – were pretty unobtrusive. Easy to ignore and totally up to the consumer whether she would visit, join or click. Even as the advertising got more sophisticated with geodemo targeting of sidebar ads (penile size enhancements, anyone? ), it was still pretty easy to go on about your digital life with a minimum of advertiser intrusion. 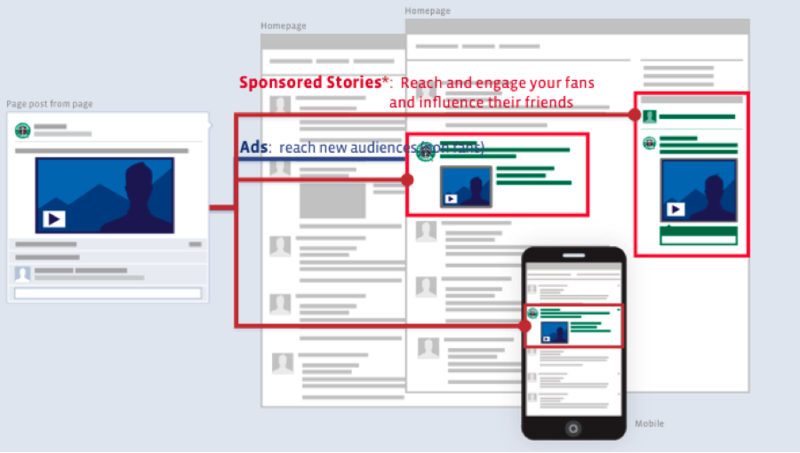 Yet, by 2011, when “sponsored stories” were launched (really, mini-ads are now “stories?”), ads (along with “friends” activity related to those brands) started showing up in people’s news feeds if they happened to “like” a brand. This kind of targeted advertising has gotten much more sophisticated in the last few years, so that these “stories” (aka ads) show up in the user’s timeline, but now based on behavior both within and outside of Facebook and demographic profiling. So where is this going? I remember using Facebook with a group of friends recently to discuss a sad event we had experienced, with a number of us increasingly angrily remarking that the unrequested and unwanted timeline ads had crossed the threshold from annoying to offensive. I don’t remember the ads, but I *do* remember it was Facebook that offended me. Will Facebook collapse under the weight of its own advertising strategy? The money is there, but what about the effectiveness? As I prepare to teach my Integrated Marketing Communications class here at George Washington University this semester, I look forward to discussing this issue with my students.